The SXSW Art Program application is now open, and we are eager to see your exhibition ideas. 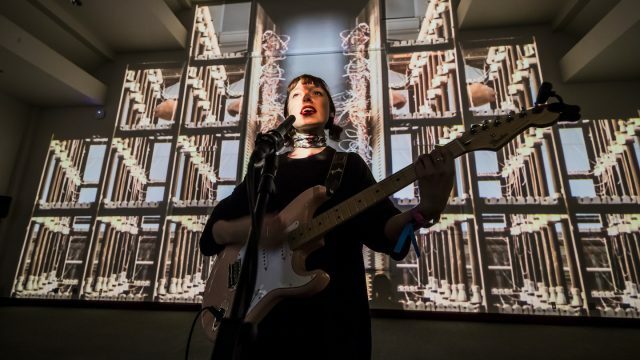 Now in its third year, the SXSW Art Program exhibits experiential and visual artwork to spark discovery, inspiration, and connection. By sharing your artistic vision at SXSW 2019, you’ll gain exposure to new audiences in the fields of music, film, technology, and more. Enter your idea before the late deadline on Thursday, October 11, 2018 11:59pm PT for consideration. The program highlights both emerging and established artists whose work reflects core values at SXSW such as creativity, innovation, and discovery as well as work that will drive discussion and contemplation about the role of visual and digital media arts in culture and technology. Visit the SXSW Art Program page to learn more about selected exhibitions from 2017 and 2018. All visual artists – studios, designers, collectives, and individual artists – are eligible to enter their project. Once we have collected all proposals, final selections will be made by the SXSW Art Team with proposal feedback from our Advisory Board members. Join us! Apply to exhibit in the forward-thinking and inspirational environment at SXSW 2019 by showcasing your work in front of thousands of creatives of all types, thought-leaders, industry professionals, and more. Enter now before Thursday, October 11, 2018 11:59pm PT.